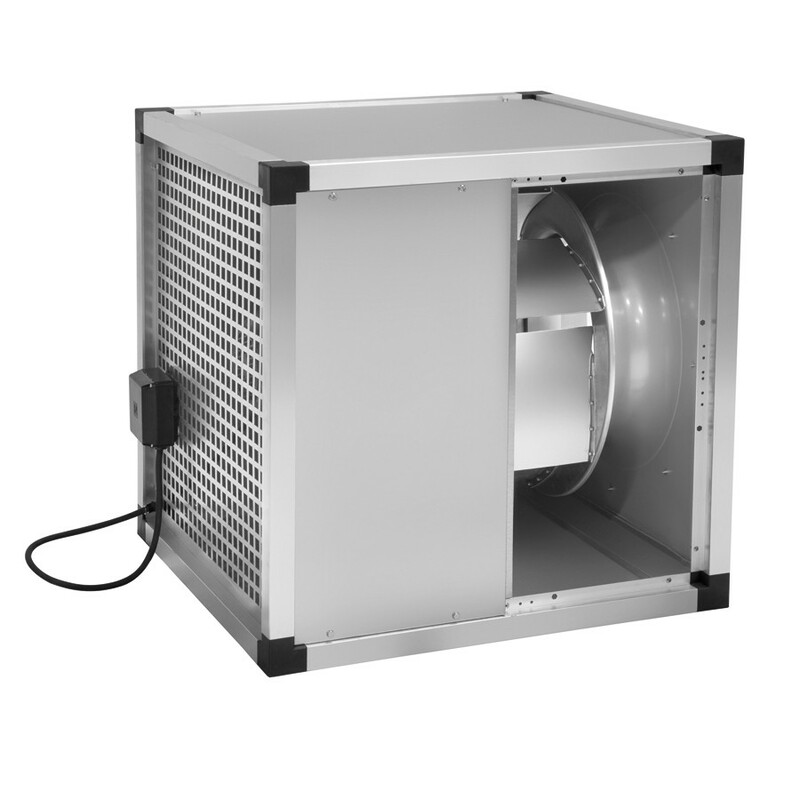 Cabinet fans manufactured from galvanised steel sheet with double thickness side panels lined with 25mm thickness of fireproof fibreglass acoustic insulation (M0). Circular duct connection flange on the inlet. 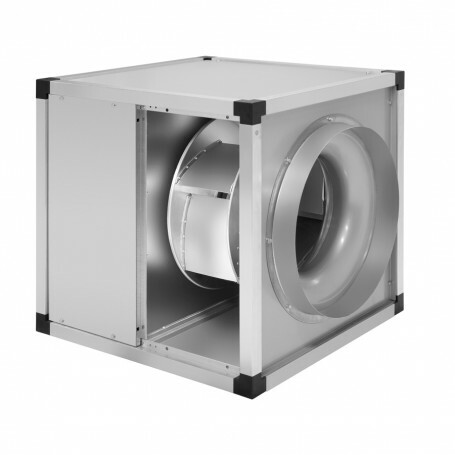 KABB / KABT incorporates direct driven aluminium backward curved centrifugal impeller with motor fitted outside of the air stream. Supplied with galvanized drip tray and copper drain. - KABB: Single-phase 4 pole motor 230V-50Hz, IP55, class F, with thermal protection, speed controllable by tension. - From KABT/4-3000/315 to KABT/4-9000/500: Three-phase 4 pole motor 230/400V-50Hz, IP55, Class F, with thermal protection, speed controllable by inverter. - KABT/4-12000/560: Three-phase 4 pole motor 400V-50Hz, IP55, Class F, with thermal protection, speed controllable by inverter. 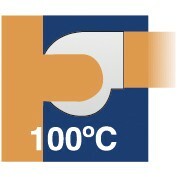 Working temperature from -20ﾺC to 100ﾺC. To prevent accumulation of dirtiness. Dynamically balanced. Quality finished plastic corners and aluminium profile, providing a great robustness.